Learn how to German schmear brick, in no time! 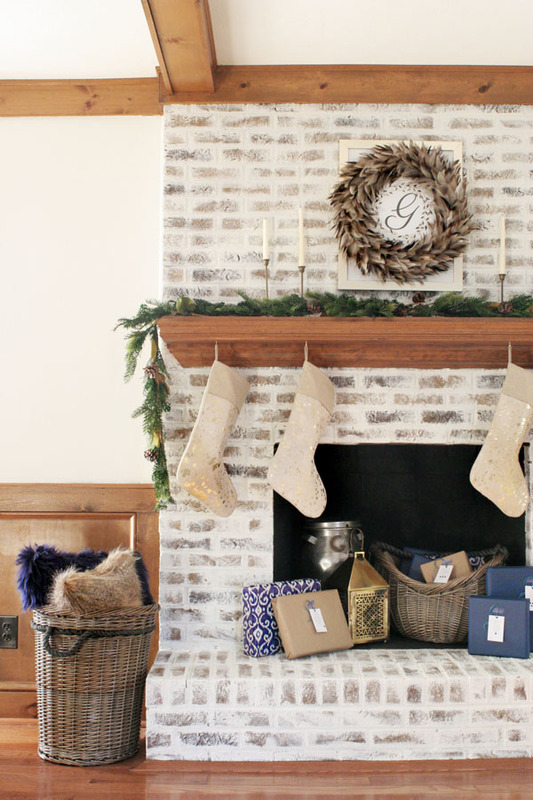 Makeover a brick fireplace with mortar wash, a beginner-friendly DIY project. As much as I love the cozy features in our cottage-style home, some of it is a bit dark for my liking. For example, our east-facing living room only gets morning light, making it dim in the afternoons. 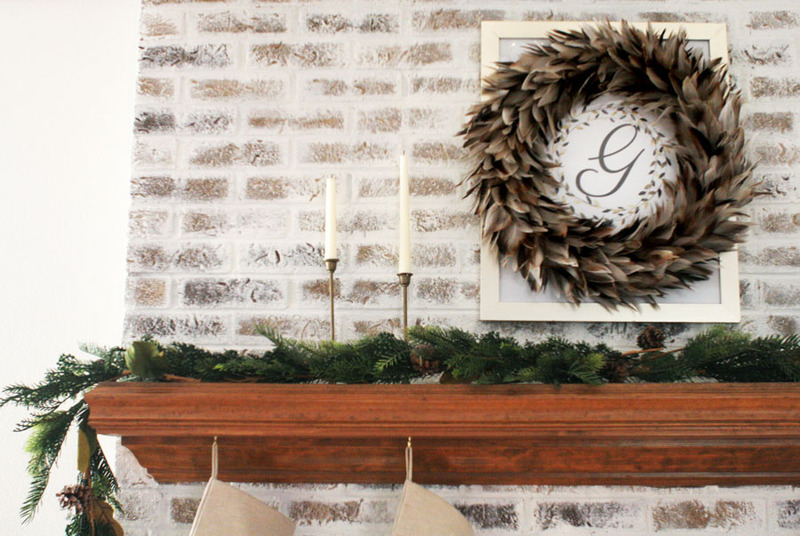 Though I like the chunky wood trim, I’m not tied to the brick fireplace or mid-tone walls. Therefore, a German schmear brick fireplace makeover was a solution to brighten the living room. German schmear, like a whitewash, doesn’t fully cover the brick. While I like painted brick, I felt retaining some amount of exposed brick would be true to the modern cottage design concept we’ve chosen. 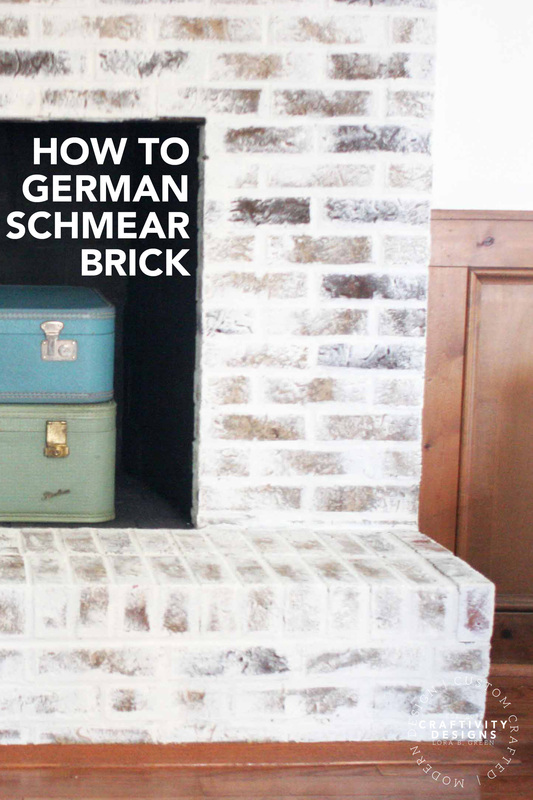 So, if you are a brick lover, a German schmear is a great compromise — lighter and brighter, while still preserving character. What is a mortar wash? A mortar wash is a decorative effect which involves strategically spreading a mixture of mortar and cement across brick. Unlike a whitewash, which is typically thin paint or paints thinned with water, the German schmear technique uses a thick medium. Mortar is the traditional medium, or use paint for a faux treatment. Completing German schmear with paint is simpler, and achieves a similar look. This tutorial utilizes paint. If you want to try mortar, I suggest this mortar wash tutorial from Dimples and Tangles. First, vacuum the brick to remove dust, debris, and cobwebs. Once clean, cover the mantel, firebox opening, floor, trim, etc. with plastic dropcloths and painters tape. Now, dip the paint brush into the paint. There is no need to cover the brush in paint, only the tip of the brush. 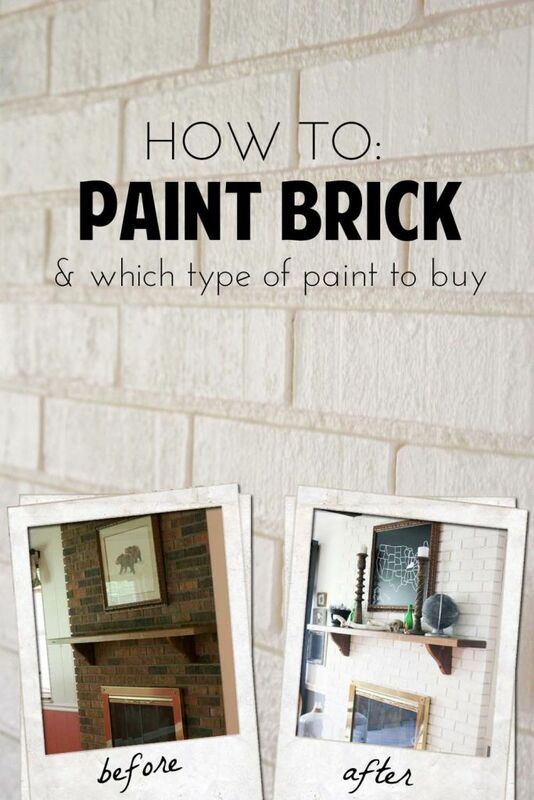 Next, run the brush tip over the mortar surrounding a brick, generously applying paint. Finally, repeat steps 3-5 until all of the mortar on the fireplace is covered. If you aren’t satisfied with the coverage, apply a second coat. note: For reference, my fireplace has two coats of German schmear. It took less than 4 hours to complete, including dry time and cleanup. I used less than 1 gallon of paint. What is the difference between mortar wash and whitewash? 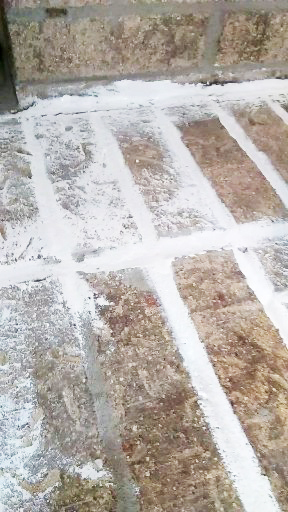 A mortar wash uses a mortar/cement mix or with undiluted paint. 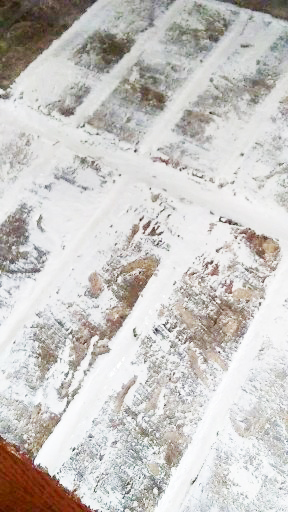 A whitewash requires thin paint or paints diluted with water. Do I need to use a primer? No. However, using paint and primer in one may reduce the total number of coats required. What type of brush should I use? 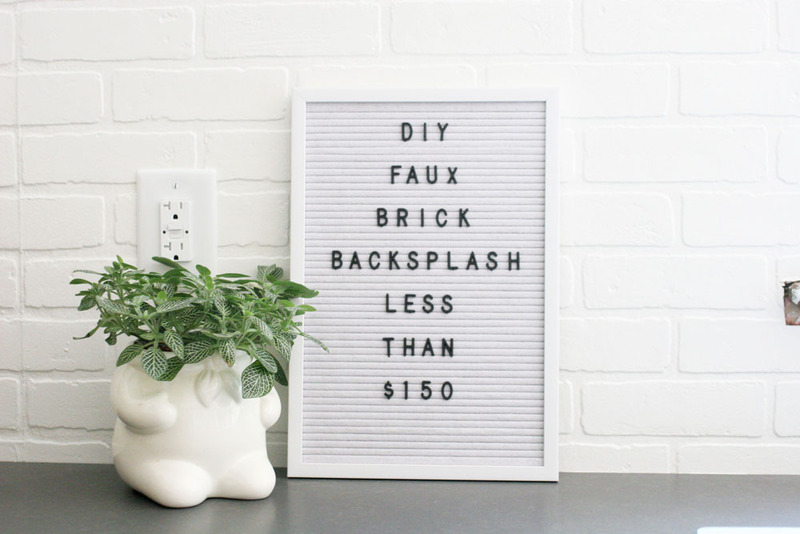 Skip expensive brushes since the brick will be tough on the brush bristles. Ideally, choose a brush that is thick enough to cover the mortar lines, and approximately 2 inches wide. This will make painting the mortar quick and easy. 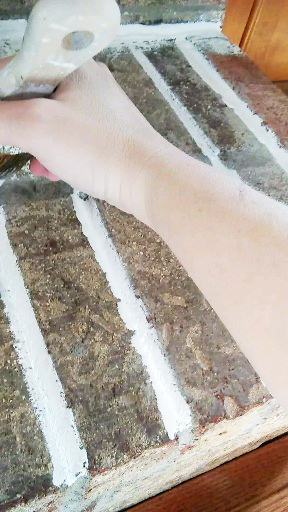 Once the mortar is covered with paint, take the brush (without adding paint) and from the mortar and across the brick. This smears the paint over the face of the brick... hence, the name "German schmear." Repeat steps 3-5 until all of the mortar on the fireplace is covered. If you aren't satisfied with the coverage, apply a second coat. For reference, my fireplace has two coats of German schmear. It took less than 4 hours to complete, including dry time and cleanup. I used less than 1 gallon of paint.